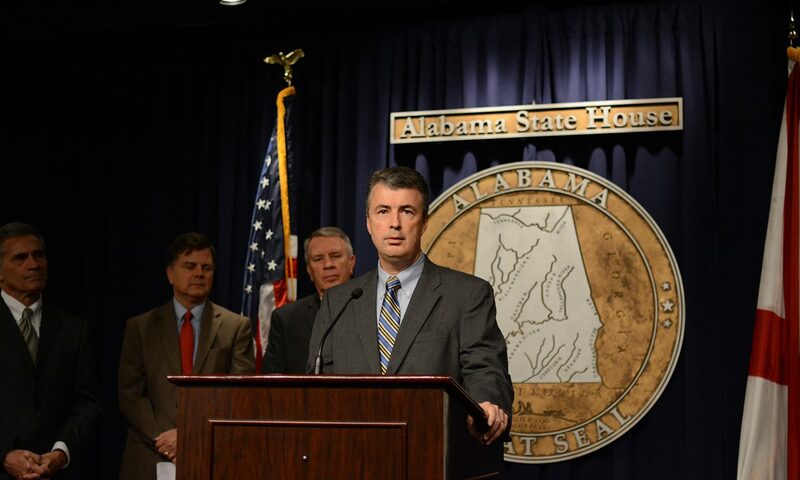 Attorney General Steve Marshall said his office will take over prosecuting the Nov. 22, 2018, shootings of E.J. Bradford, Brian Wilson and Molly Davis at Hoover’s Riverchase Galleria Mall. Marshall notified Jefferson County District Attorney Danny Carr (D) that he is assuming prosecution of the cases after the admission by District Attorney Carr in a letter to Attorney General Marshall of the presence of potential conflicts between himself and key parties in the cases. Attorney General Marshall noted that the conflicts warrant recusal under the National District Attorneys Association’s National Prosecution Standards. The prosecutor should excuse himself or herself from any investigation, prosecution, or other matter where personal interests of the prosecutor would cause a fair-minded, objective observer to conclude that the prosecutor’s neutrality, judgment, or ability to administer the law in an objective manner may be compromised. Attorney General Marshall also notified Carr that his office would also prosecute the shootings of Brian Wilson and Molly Davis. According to police accounts, a 21-year-old Hueytown man, Emantic “E.J.” Bradford Jr., and his friend Brian Wilson, age 18, were at the Hoover Riverchase Mall on Thanksgiving night. A scuffle broke out with some other individuals over some sale priced shoes. A gun was drawn and a shooter shot Brian Wilson. A bullet also struck 12-year-old Molly Davis, who was there shopping with her grandmother, in the back. At some point in all of this, Bradford also pulled a weapon. An off-duty uniformed Hoover Police Officer who was working security for the Galleria rushed to the scene. He saw Bradford with a gun and shot him. Bradford died from his wounds. Twenty-year-old Erron Marquez Dequann Brown has since been arrested for shooting Wilson. Attorney, Ben Crump has been retained by the Bradford family. Crump says that an independent review of the autopsy results indicate that the officer shot Bradford in the back three times. According to Crump, there are witnesses that claim that the officer never identified himself before opening fire on Bradford. Hoover police wrongly identified Bradford as the mall shooter in the hours after the incident. Investigators realized that was not the case after it was determined that the bullets that were cut out of Wilson could not have come from Bradford’s gun. The Hoover police officers has not yet been formally identified by authorities. A number of protestors are blaming Hoover for all of this and has been attempting to interfere with businesses and shoppers in the weeks since the shooting. The Alabama Law Enforcement Agency is investigating the case. Steve Marshall is a former district attorney in Marshall County. He was recently elected to his own term as attorney general.